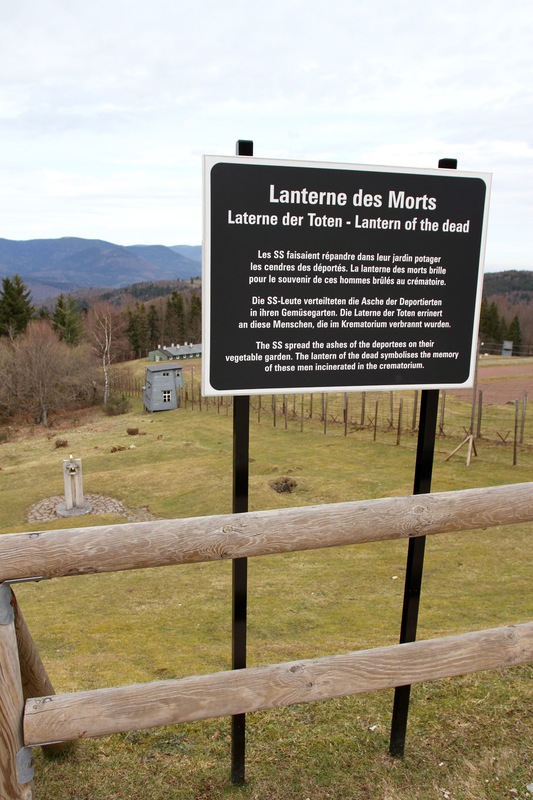 The Natzweiler-Struthof concentration camp lies deep in Alsace’s Vosges Mountains. The drive to reach it involves winding roads through verdant forests that give little hint of the horrors these hills have witnessed. 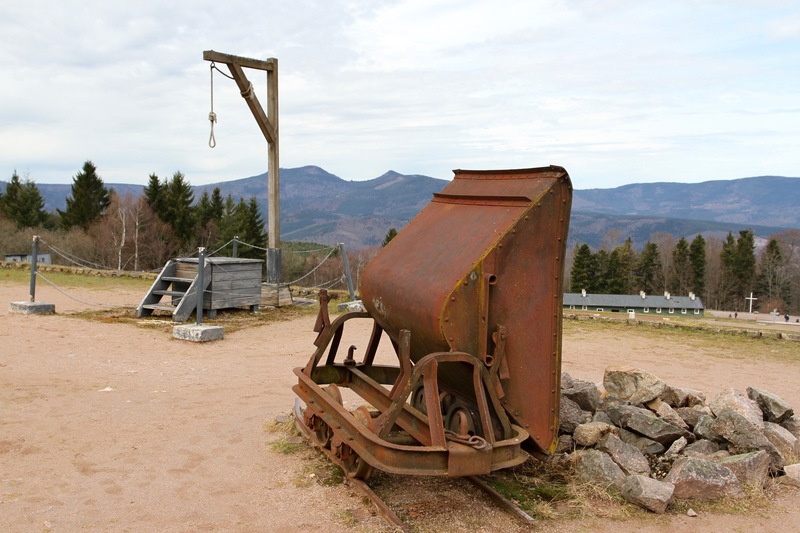 It is heavily ironic that, before it became the scene of appalling atrocities committed by the Nazis, Struthof was a ski resort with a hotel and restaurant. A place for fun and relaxation. Even today, you could be forgiven for taking in the majestic scenery and sweeping vistas, and thinking that all was well with the world. 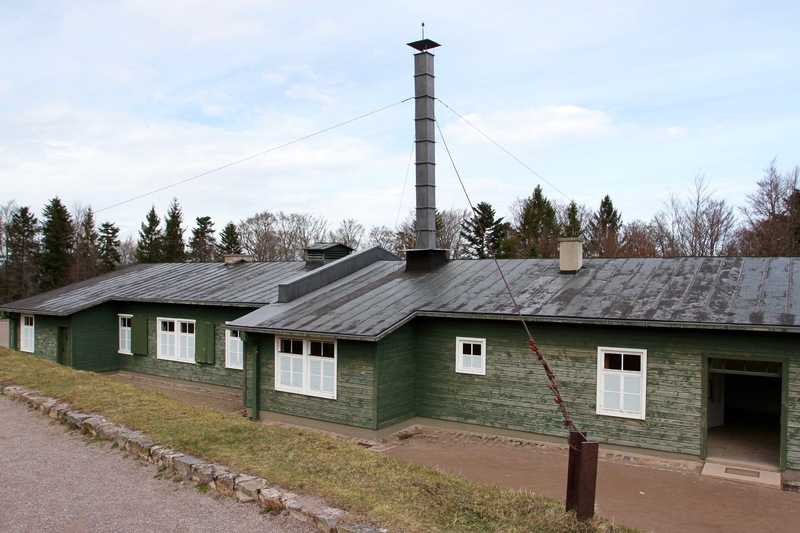 Like many Nazi camps its remoteness was deliberate, far away from prying eyes and as a deterrent to escape attempts, but Struthof also owes its location to nearby deposits of pink granite. 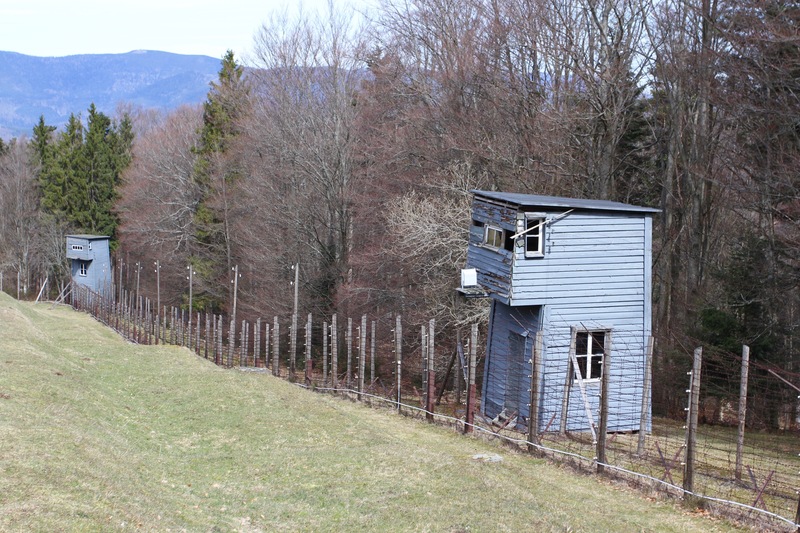 The camp was established as a base for forced labour to mine the stone for building projects in the Third Reich, allegedly on the request of the Nazi’s favourite architect, Albert Speer. 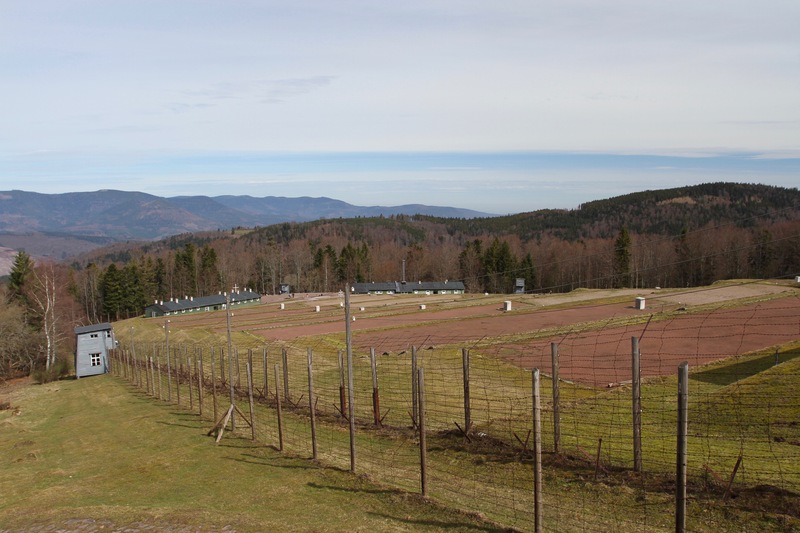 While it was a relatively small camp, Struthof was at the centre of a sprawling network of camps that inflicted immense suffering on tens of thousands of people. 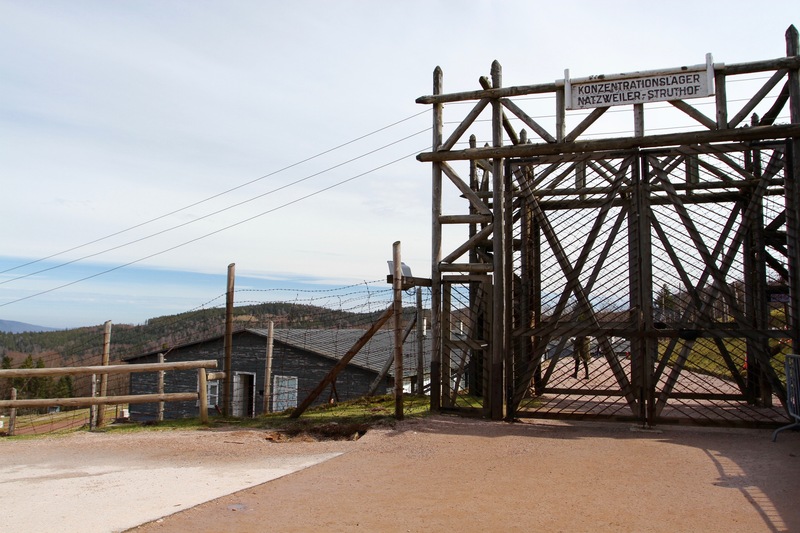 Struthof was a hard labour camp for political prisoners, including resistance fighters from France, Norway and the Netherlands, many of whom were brought here as Nacht und Nebel (Night and Fog) prisoners. These were men and women who opposed Nazi occupation and who were kidnapped from their homes and sent to camps hundreds of miles away. Their families were never told where they’d been sent, no documentation was kept about them, they simply disappeared. Conditions at the camp were horrific. Starvation, overwork and mistreatment by the SS guards led to a death rate of around forty percent. Numerous other prisoners were simply shot or hanged when they arrived. The fate of others, as in many camps, was to be experimented on in quasi-medical tests. At Struthof these were performed mainly on Jews or Roma sent here from other camps for that specific purpose. Experiments included the effects of poison gas and ‘treatments’ for typhus and yellow fever. Some were performed on children. The most infamous of Struthof’s commandants was Josef Kramer, now known to the world as “The Beast of Belsen” from his later role as commander of Birkenau-Belsen death camp. Kramer was commander at Struthof during one of the most notorious incidents, the murder of eighty-seven Jewish prisoners sent from Auschwitz as part of an experiment intended to prove the Nazi ideology of Aryan superiority. 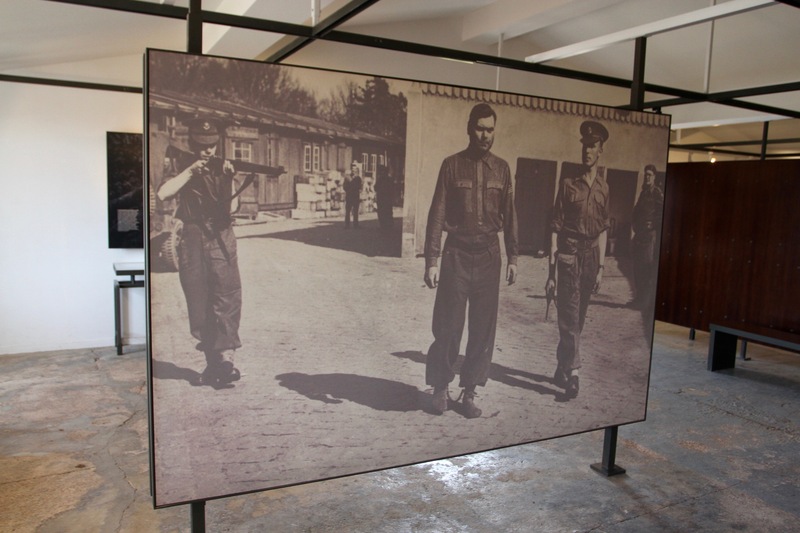 There is a big photograph in the illuminating museum of Kramer under guard after his arrest in 1945. 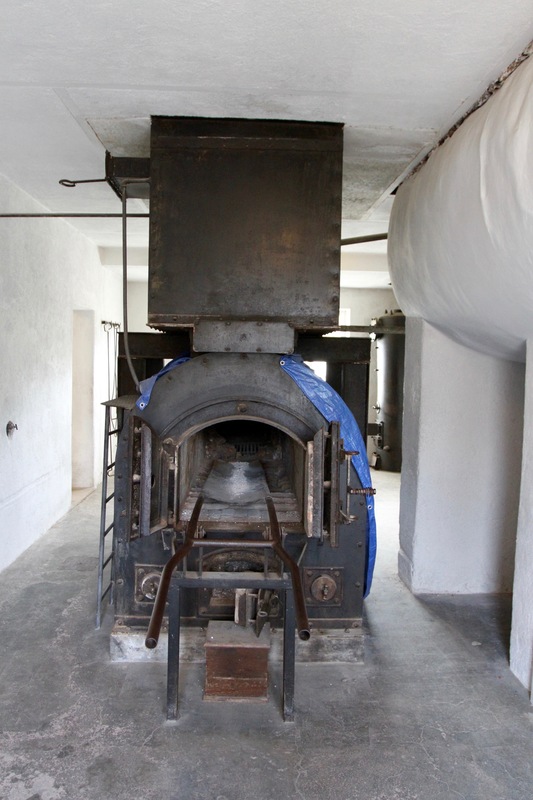 Eighty-six of the prisoners were murdered (one was shot while trying to escape) in a gas chamber built at Struthof for the sole purpose of performing ‘medical’ experiments on prisoners. The eighty-six corpses were then sent to Strasburg University for further experimentation, becoming part of the Jewish skeleton collection that was supposed to form a lasting scientific exhibit into ‘inferior’ races. This work was done under the direction of a doctor, August Hirt, but it was Kramer who personally killed all eighty-six people. The camp was liberated in November 1944, by which time all the surviving prisoners had been force-marched to other camps. 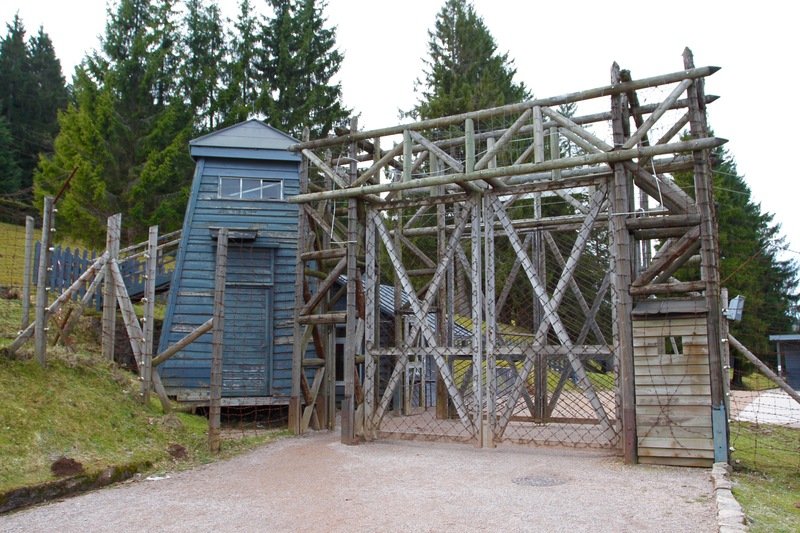 Struthof was the first concentration camp to be liberated in the west, the Russians had already uncovered evidence of these crimes against humanity, but as the Allied advance pushed further east more and more camps would be liberated. 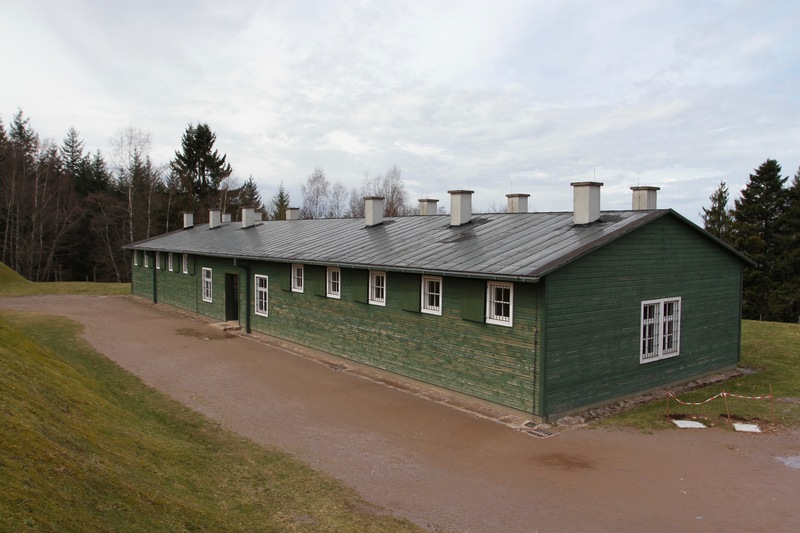 Many were Struthof’s sub-camps. 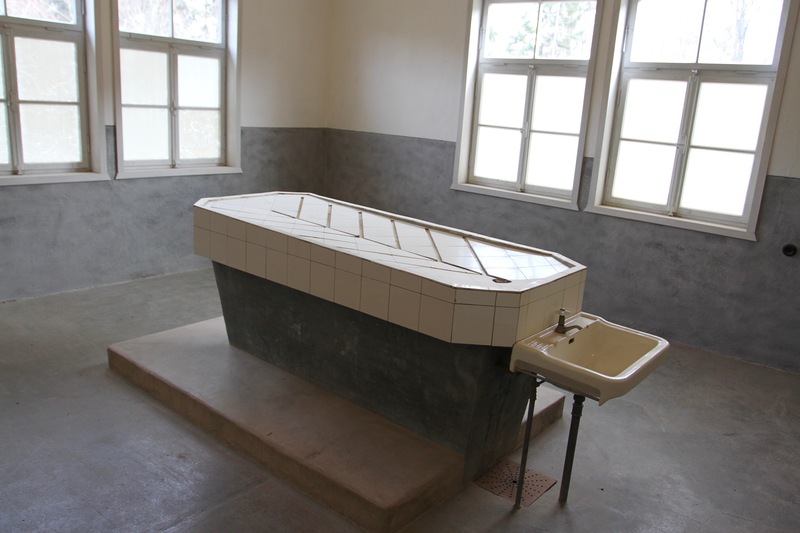 It’s estimated that 20,000 of the 52,000 people who passed through the Natzweiler-Struthof camp system were killed. Today, the site is an important memorial to those who suffered and died here. Many of the original buildings have been destroyed, but several are still standing within the barbed wire fencing. 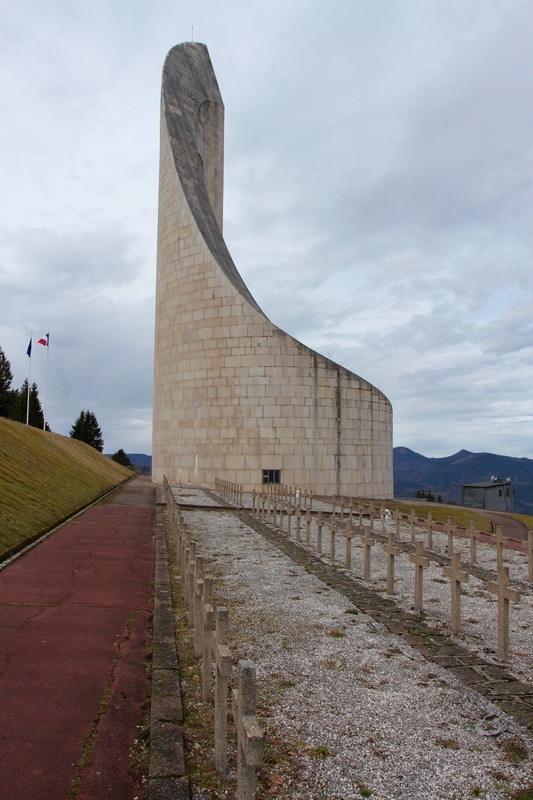 Above the site on the hillside stands the giant Monument to the Departed, which casts its shadow over a cemetery. 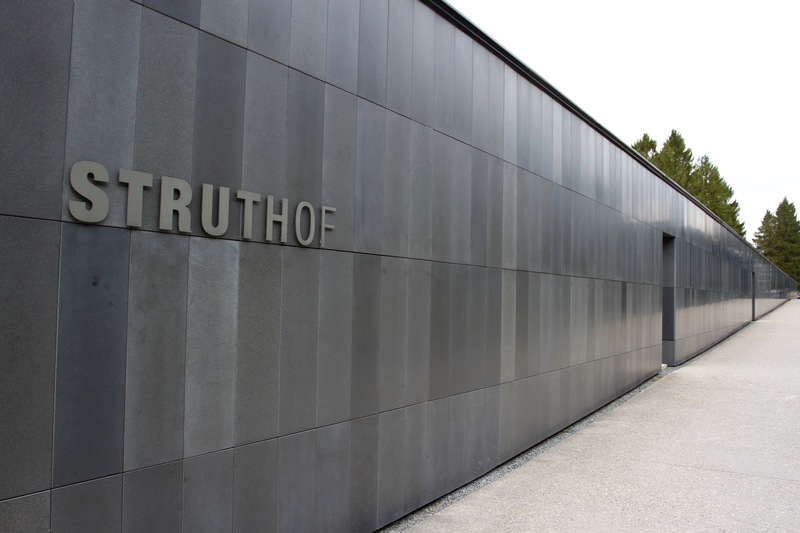 Inside some of the buildings are an exhibit on the camp, and nearby is a modern museum dedicated to telling the story of Struthof in the broader context of the war and Nazi occupation, including an excellent film. While we toured the museum, the weather took a turn for the much worse. Down the mountain it was raining, but at this altitude it turned to heavy snow. 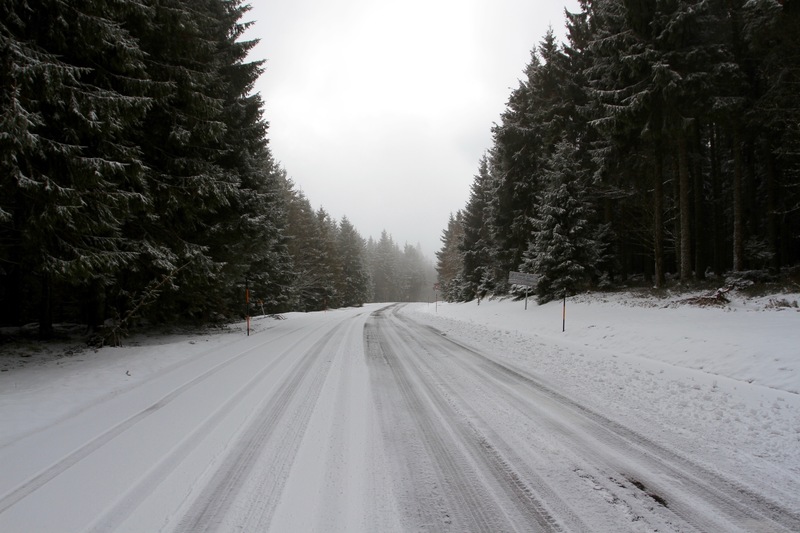 The temperature plunged and the roads became dangerous to drive on. 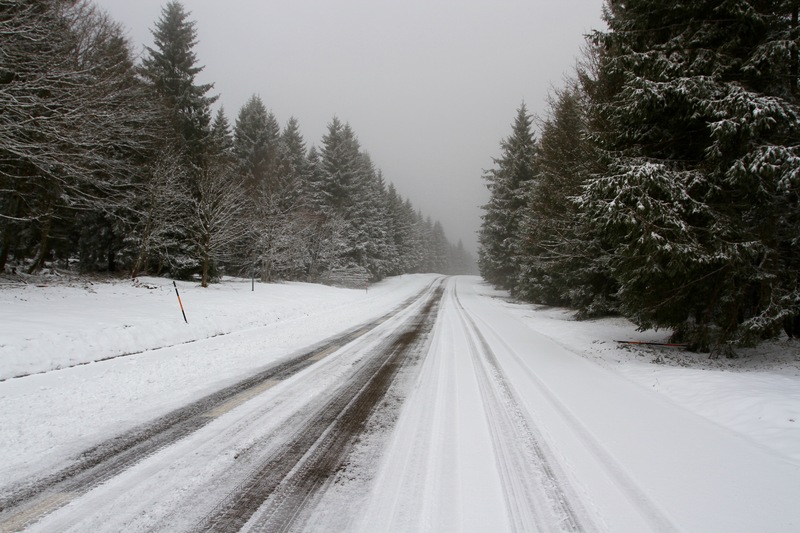 It’s an unforgiving climate, and it highlighted just how diabolical winter conditions must have been for prisoners with no heating, few clothes and little food.